I just want to take a second to thank everybody for all your support on this blog. Never in my life did I never think there would be a day where I would have almost 50,000 people looking at these pictures every week. I do take the time to read every one of your comments of the blog and Facebook and I do believe that this blog has some of the most well-mannered, best fans on the Internet. Thank you for all your great comments and support over the past few years!!! My daughter took her first few steps yesterday. As a proud papa, I have to post the video :). Here is the video of her very first few steps. Anyways, back to the deals. As always, there are lots of unadvertised deals this week. Among them – when is the last time you changed your furnace filter? It is supposed to be every 3 months. The 3M Filtrete Ultra is on sale this week! If you are looking for a new mattress, the Sealy Posturepedic Sydney Queen Mattress / Box Spring is on sale this week. Nature’s Classic Organic Edamame, Stuffed Jalepeno Poppers, Pillsbury Pizza Pops, Palermo’s Chicken Fajita Pizza, Nesquik Chocolate Syrup, Becel Margarine, Quaker Quick Oats, Multi-Grain Cheerios, Sun Rype Apple Juice, Organic Beef Broth, Organic Vegetable Broth, Pepperidge Farms Cheddar Goldfish, Oberto Beef Jerky, Dove Soap, Peanut M&Ms, and Wild Roots Coastal Berry Blend are all on sale this week. 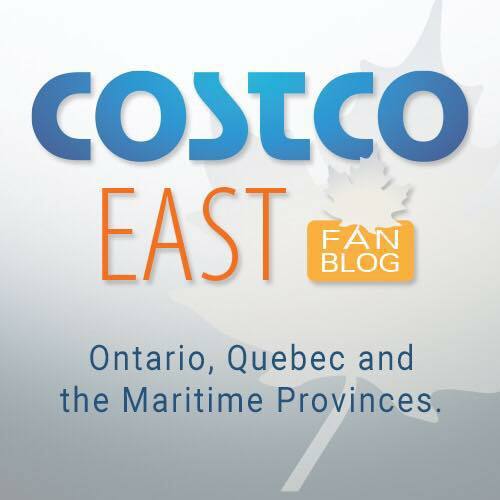 The easiest way to get all the updates for the Costco East Fan Blog is to “like” the Facebook page here. When the blog post is updated, you will be automatically notified in the Facebook news feed. SUBSCRIBE TO E-MAIL UPDATES HERE!!! Thanks for braving the crappy weather to bring us the deals. It’s always appreciated! Just a heads up. I saw a documentary regarding the ‘Green Tea Triple Fat Burner’. It can cause severe liver damage. This doesn’t happen in every case but you’ll want to weigh the risks before taking these pills. Thank you so much for doing this every week. I live an hour away from the nearest Costco, so it sure helps me to decide whether or not to make the drive. You’re little one is so cute! How nice of you to share her first steps. Adorable. Thank you for your efforts and the kind comments. Until next week……. take care and enjoy. I WAS WONDERING IF YOU ARE GOING TO BRING IN THOSE CAVENDISH EXTRA THIN SALT AND CRACKED PEPPER FRIES 5LB. BAG. I REALLY LIKE THEM FOR BREAKFAST WITH MY EGGS. HOPE TO SEE THEM SOON. THANKS. This guy does not work for Costco. He goes there each week to share the sales. You’d need to call your Costco to ask your question. Those Cavendish salt and pepper fries are very hit and miss. In my area, of the 3 Costco stores only one carries it on a regular basis but it’s too far away from me. A second doesn’t carry it at all, and the third carries it occasionally – I noticed last week when i was there that it was gone again. I have learned when I see them to stock up a lot. Fortunately I have a deep freeze with lots of space and frozen fries have a very long shelf life. You can ask at your Costco if any of the other Costco stores in your area carry it. They can look it up. What’s also quite rare is the Cavendish hashbrowns. They haven’t been discounted for quite some time now. thanks for posting despite the snow! I wait every week for this, love this blog, thanks so much!!!!!!!!!!!!!!!!! Yay first steps!!!! And no hands getting up!!! I bought the mattress and no spring 12 days ago (manitoba) do you think I could I get price adjustment or credit? By the way thank you for all your hard work! I look forward to checking out your site every week it’s saved me so much money! @CocoWestFan See my reply further down. I’m not sure how I ended up commenting on the main post when I hit reply beside yours. Thanks. Clicked on ad for you. Any idea about diaper sale? I am waiting for it. My 4 months old is in size 4 right now. And looks like he will almost outgrow size 4 by the time he is 5 months!! Thanks as always for your hard work. Clicked on an ad for you. I know they aren’t on sale but have you ever tried the Kirkland brand shampoo and conditioner? Just wondering if they are any good, specifically the conditioner. Thanks! I have very fine, dry, natural curly & brittle hair. I always use their shampoo/conditioner. I might have to use an extra squirt, but at least I can get a pick through it when I am done. Most brands seem to wash out and leave my hair ‘squeaky’. I can’t get a pick through it when it’s like that and I break tons off. There’s no residue left behind, but it seems to coat my delicate strands. Been using it since they came out with it. Looks like I’ll have to head down this week. Thanks for letting me know it will be worth it. By the way – I was unable to view a video with your daughter. The portion that would have the video was completely blank. Never mind about the video – I scrolled up to the top to click on some adds and it was now there. Proud PaPa. Get your running shoes ready! Thanks for the post even on a snowy day. Congrats on your daughter’s first steps! What an amazing moment. Thanks for posting these every week. I look forward to these posts every week. I only recently found out you get paid for the ads so I’ll be making sure I click on them when I visit. Thank you!! Good job little cutie! Keep us posted on her. I’m really enjoying seeing your little one. And thank you for braving the bad weather to show us the deals! You are such a big help with planning our weekly costco shop. Is it just me or am being picky. Why are some of the packages display the French language. Sorry, but my French is non existent. Terry, this person takes photo’s of the sale signs which are all in English . I don’t think Costco would appreciate the products being re merchandise if English side is not face out. I find it helpful showing the picture of the reverse side showing nutrition facts etc. Wonderful first steps, such special milestones. Thank you for your posts, appreciated. Also check the side bar ads for you. Yes, you can! Bring your receipt to the returns desk and ask for a refund of the difference. And it makes sense too considering that you could just return it and rebuy it cheaper. Fortunately, Costco doesn’t makes it’s customers jump through hoops. Thanks Dan for the Reply! I’m heading there tomorrow and will definitely take my receipt! We haven’t even unwrapped the mattress set yet! Thought I could snap a photo of them before To show they are still wrapped even! You don’t need to take a pic. They will refund the difference anyway. Their policy is for a set time (I think two weeks), but they will usually do it even if it is longer and tell you the policy “for next time”. They realize that you could return it anytime and rebuy at the cheaper price. *technically* you could actually buy the cheap one, have it with you, and use your more expensive receipt to return it stating “it’s not needed”. For this reason, Costco will normally just give you a credit, but worst case, you wouldn’t need to bring back the other, as you could cheat and buy/return the same one with the other receipt. Hope that makes sense. I’ve had to do this at other stores to get credit when things drop drastically. Real Canadian SS is also great with their refunds on pricedrops/matching. For those things that Costco doesn’t carry, just so you know! They will adjust the price for a long time afterwards! Its great. I think it’s 45 days. My wallet is full of old costco receipts whenever I go in case I see something on sale I bought a month ago. I look forward to going through your Costco sales every week. Thankyou so much for all your work on this site. Love the video of your daughter’s first steps – thanks for sharing!! I see if we click on ads you get paid – which ones – the Costco items or some of the random ads that come up on the page? For sure, I will click on some, once I know which ones. I really appreciate all you do to get this info to us. To Costco tomorrow – in spite of snow!! Thanks for this public service. I’m so bad just buying mostly what’s on sale and necessities. Happy to see your parenting journey has begun. Hang on and enjoy the ride, it’s goes really fast! Costco is great. The sales are even better, every time I’m there I fart at least 3 times. The samples keep thing fresh and flowing. Thanks Tynan. What a CUTIE! She did very well. A lesson so many of us forget — We have to keep getting up until we get it right! I’ve read others also mention about clicking ads. What ads? I want to help pay this guy too. If you don’t see the ads then it is probably because you have an ad-blocker program running. Ad-blocker programs are browser plugins that filter out most of the ads from web pages. If you are running an ad-blocker you could either temporarily disable it and re-load the page, or you could tell it to permit ads on this domain (known as white-listing the site). Life changes as soon as they start to crawl. Honestly life didn’t change much after first steps, other than the things she was getting into when crawling could now be carried into other rooms & hidden. In our case, everything was hidden in cereal boxes in our pantry. Thanks for the regular post Tynan. I live an hour away from a Costco, so this posting is very much appreciated. I anticipate your post early in the week. Thanks for braving this awful weather we’re all experiencing! Your daughter is adorable…so sweet that you shared her 1st steps with us ?. Do you get credit for clicks on the ads or do we have to buy something at the ads for you to get credit? Click! The edge razor + 17 cartridges works just as well as a Gilette mach 3. Thanks so much for doing this weekly! Thank you so much again. Look forward to your blog every week. Very cute picture of your daughter’s first steps. Babies grow up so quickly so enjoy each and every milestone! Hmm I returned diapers last week with no problem & no receipt at Kenaston. Maybe a Feb 1 change? I haven’t heard? How do I get access to the U.S blog ? I don’t think he posts them on a regular basis, as he doesn’t live in the US. I have not seen pet toys since October. I am waiting patiently. Anyone have a review of the mattress set? Thank you! Your daughter is adorable! Has anyone tried that paper shredder? If so, do you like it? Congrats with your cutie daughter!! Thanks so much for this thorough blog every week! Does anyone know if the blocks of parmesan cheese ever go on sale? Thanks! I have seen these go on sale before! Yup, they do, but rarely. I usually just buy a block whenever I need it, impossible to time the sale for when I need it. Thanks for all the work and effort you put in. Your daughter is so cute. when are the diapers going on sale!!!! GEEZ its been so long! Last year diapers went on sale in the last week of February. Hopefully it will be the same this year. Hi Maggie, items ending in .97 are clearance items. Their availability differs between stores. Sorry you didn’t see these items in your local warehouse. Thank you so much for this site! You save me so much time. I work for Costco it’s 19 years now and now I don’t have to print of IRC reports anymore!!! Anyone in Saskatoon know if Costco is selling the sea food for valentine’s?